Lexi Michelle Blog: 3 Day No Make Up Challenge! 3 Day No Make Up Challenge! I love Jennifer Aniston! 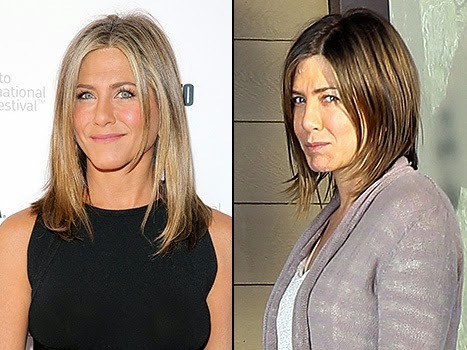 I loved her in Friends, in Marley & Me, in EVERYTHING and this new no make up role makes me love her even more. She is right, it is empowering. There is nothing more freeing than feeling comfortable in your own skin. But wait--if it really is as "dreamy and empowering and liberating" as she says, then why doesn't everyone do it? Why don't we go without make up all the time? Many say that make up is meant to enhance beauty, not cover it up. The phrase "enhance beauty" would imply that you are already beautiful to begin with. If that's the case, why is it that oftentimes women don't feel beautiful without make up?